excited when she finds out that her Fayetteville LYS still has some Cottontail yarn in stock and will hold it. Same color number, same lot number, same everything. 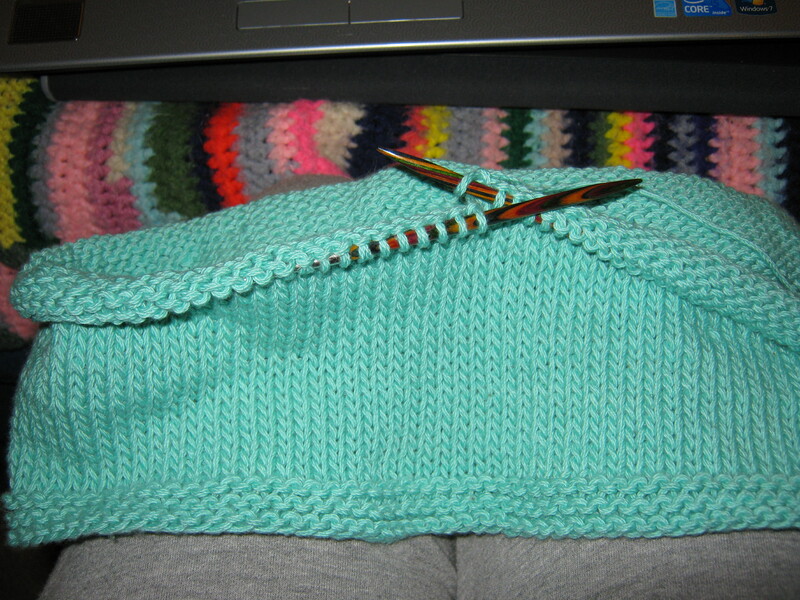 Now I can sit back and enjoy the Minnowknits Pinafore Dress that is slowly growing on the needles. I hate to worry about whether I’ve purchased enough yarn to finish a project. Actually, for this reason, I usually buy at least one extra skein, just to make sure. Of course, this makes my stash grow by leaps and bounds, since usually the pattern calculations are pretty accurate, but, as we all know, a stash can never be too big! See how it’s growing?